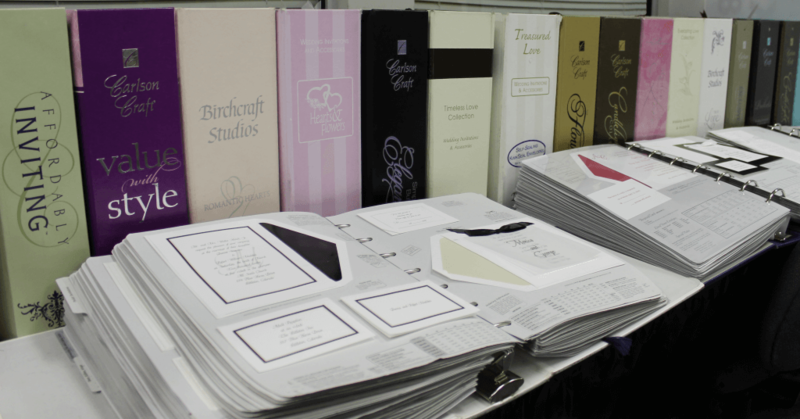 Looking for Wedding Invitations? Here are the 4 places to find them. There are a LOT of decisions you have to make when it comes to planning your wedding. You may not realize it right away, but soon enough you may start to get overwhelmed in the process. Wedding invitations also is something you need to make decisions about. Mainly, where should I get them from? 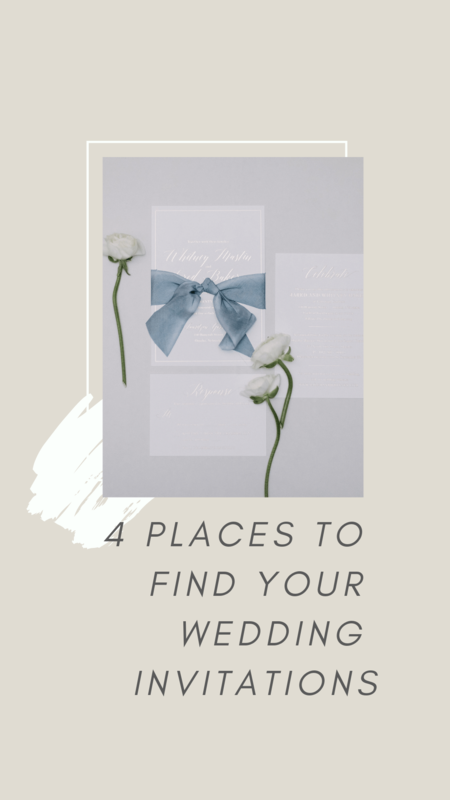 I’m breaking down the top 4 places engaged couples find their wedding invitations. 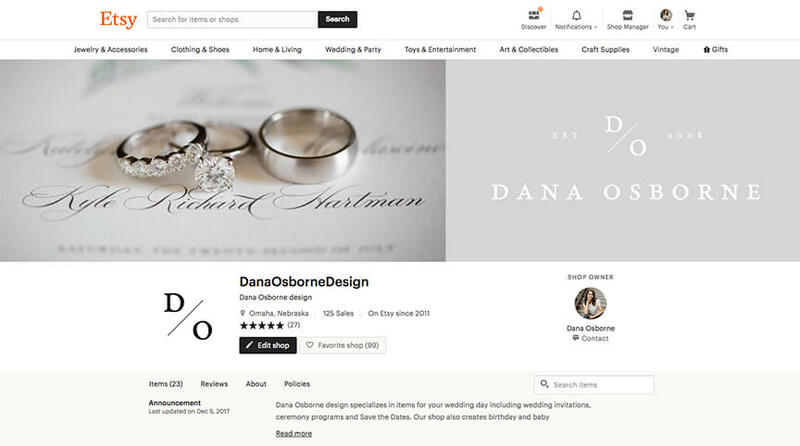 Etsy has become a great resource to find items for your wedding. If you’re just browsing for ideas or ready to make a purchase, there is so much on Etsy. Pros: Lots of options! You can search and find styles all over the board. Cons: Too many options! Etsy can be overwhelming. Etsy is an online platform for selling as well, so you may have limited interactions with the actual person doing your invites. In some cases, you are getting what you get and have no say on options. 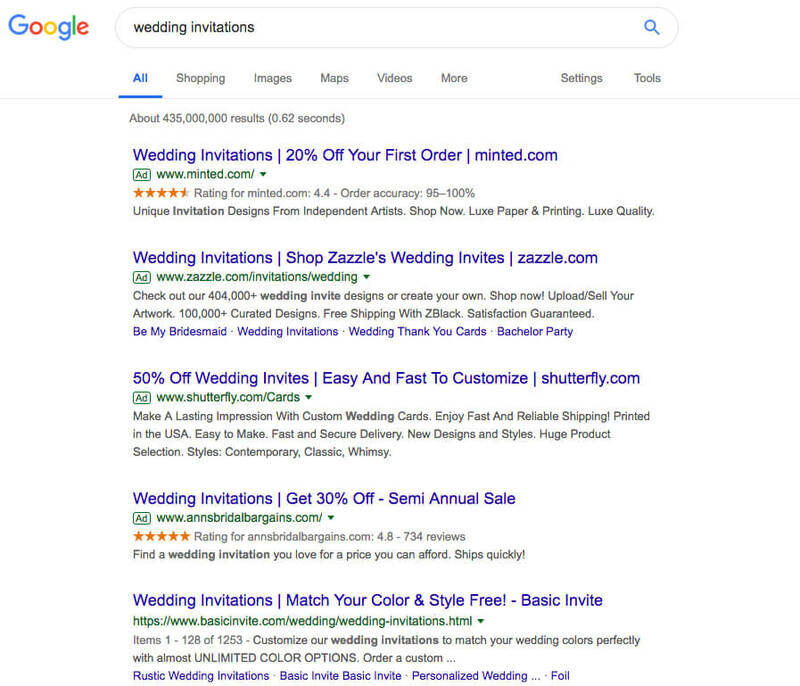 One quick Google search the big box invitation websites pop up (no need to name them here…HA!). These online sites do give a lot of gorgeous options for couples getting married. Pros: If you sign up for their email list, you can receive some great discounts on wedding invitations. Cons: Again, you get what you get. Some sites allow you to change nothing or need you to word your invitation a certain way so they style of the invitation isn’t altered. Be aware of added costs too. $1 per invitation sounds great, but does that include the envelope? Probably not. Before the www, brides would go to a local bridal store and page through the giant books of pre-designed wedding invitations. “The books” still are around today and some couples find them easy to use and make the process quick and painless. Pros: Limited options means a decision can be made fast and easy. Cons: Limited options! If you have a certain style in mind, you may be paging through books for awhile. 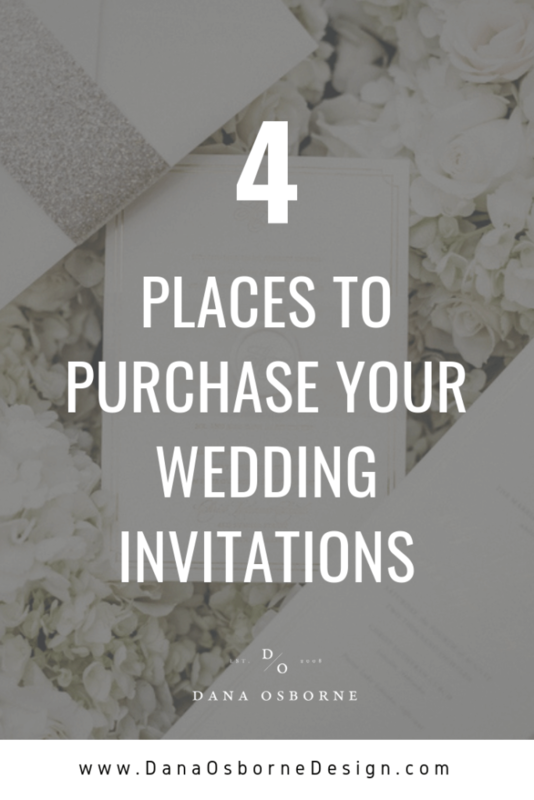 You may not ever find the style of invitations you want and need to settle on something you’re not thrilled about. 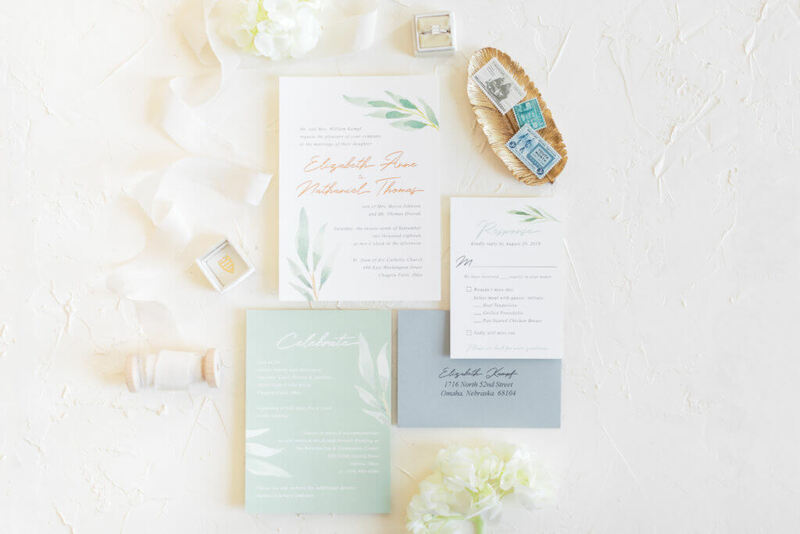 If you have a style in mind and are not having luck finding anything you like OR you just don’t want to touch a thing, working with an invitation designer is a great choice. Pros: Full and total control. You work one-on-one with the designer to design exactly what you want for your style. 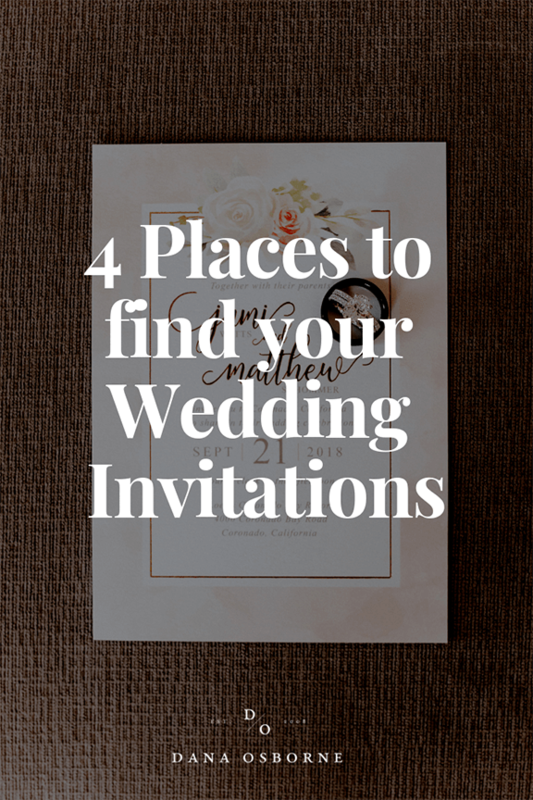 If you have an idea on what to add with your invitation, these can easily be done. Cons: Custom designed invites can be a little more price wise than those big-box discount sites. Decide how important wedding invitations are to you and for your wedding day.